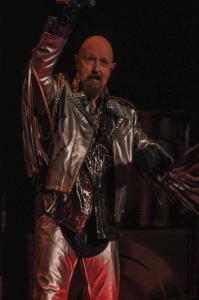 “The Priest is back” exclaimed singer Rob Halford a few songs into the band’s concert Thursday evening. 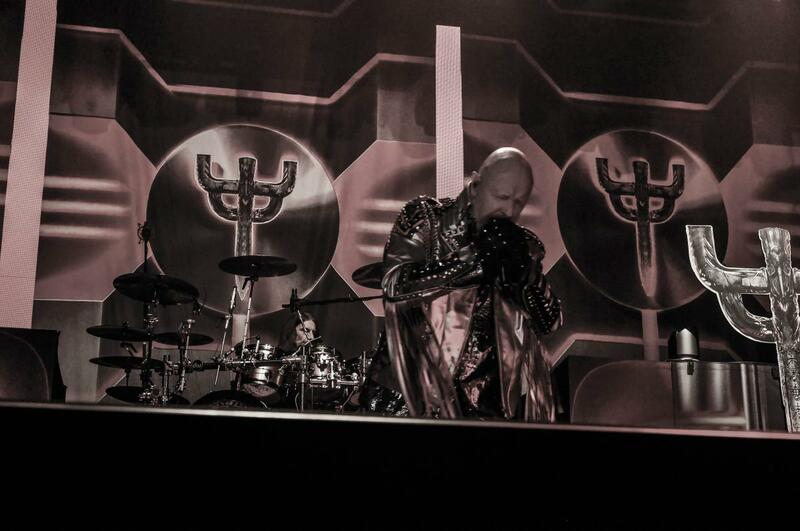 Judas Priest put on a clinic in front of a crowd of about 4,500 metal heads inside the Covelli Centre in Youngstown , Ohio. 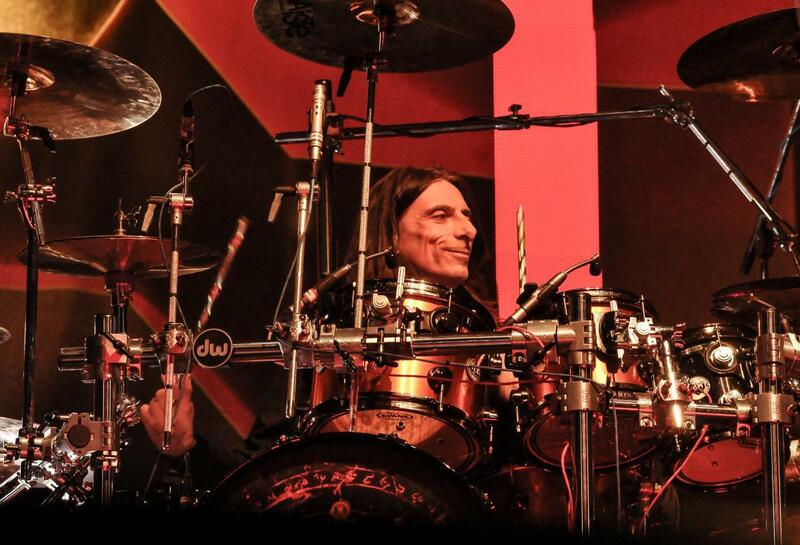 The show was just the second night of the band’s Firepower tour, their first tour since late 2015. Much to my surprise the band did not appear to show any signs of rust due to their extended layoff as they appeared to be in mid-tour form already. The band have just released their 18th studio album Firepower. They have received nothing but rave reviews where many are calling it the best album the band has released since the early 1980s. Despite being snubbed by the Rock and Roll Hall of Fame last year, it only gave the band more incentive to create a masterpiece. 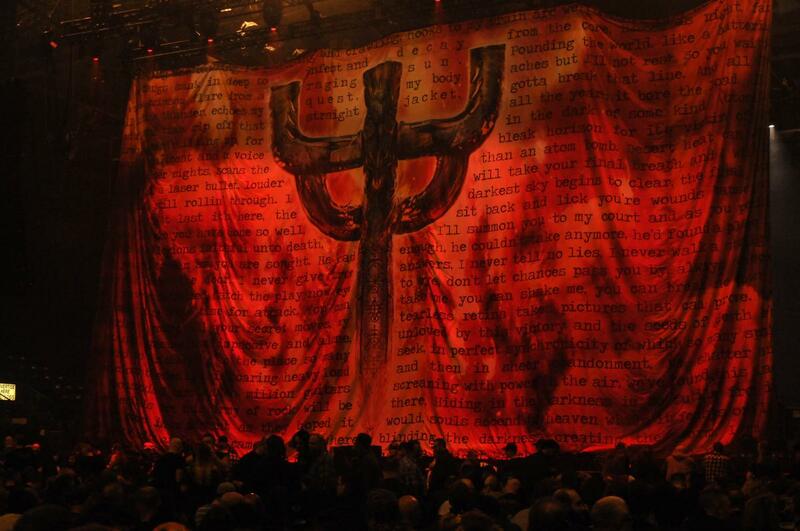 As the curtain fell the show began as anticipated, with the title track “Firepower”. When you have a song with such a powerful riff as “Firepower” has it was a no brainer. The band played a good mix of songs that touched on eleven of their studio releases. During the 100-minute set the large screen in the rear of the stage flashed images of those album covers to guide the crowd as what may possibly be coming next. For me the song of the night took place when the bands 1984 album Defenders of the Faith appeared. They could have played any number of songs from the solid release but pulled out the classic “Some Heads Are Gonna Roll’, a song not played live by the band since 1991. The crowd ate it up as well as many of the other delicacies served up by the band. Other highlights included “Saints in Hell” a song from Stained Class that until opening night had never been played live by the band. Many took to social media and were in awe. Back to back plays of “Sinner” and “The Ripper” were welcomed additions as they had not been played live in nearly a decade. The band also included two other standouts from Firepower in “Lightning Strike” and “Evil Never Dies”. There really was not one throwaway track or as some may call them bathroom breaks, played at all. The set list was perhaps one of the band’s finest. They may find it hard to top going forward. 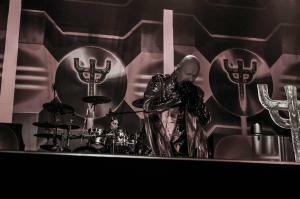 Halford also noted the band will be back meaning the band’s touring days are far from finished. Joining Halford in the current version of the band is founding member and bassist, Ian Hill, drummer Scott Travis, and guitarists Richie Faulkner and Andy Sneap. 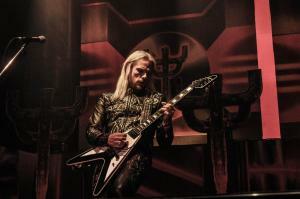 Sneap was chosen to replace Glenn Tipton as he was diagnosed with Parkinson’s disease and was unable to tour. The fresh blood infusion of Faulkner and Sneap appears to have re-energized the band as they had all guns blazing inside the Covelli Centre Thursday evening. The band is showing no signs of slowing down anytime soon. 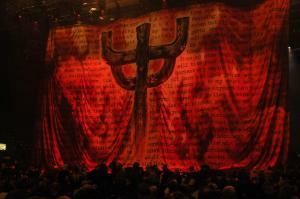 The fans were shown by the masters of metal what a great concert should be. Priest brought eveything they had and left the crowd wanting more. A perfect evening in Youngstown! Kicking the night off with a bang were the Black Star Riders and Saxon. Precisely at 7PM Singer Ricky Warwick and the gang took the stage and delivered a solid set of songs. 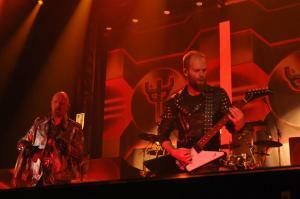 The band played two selections from their Heavy Fire that was released last year. 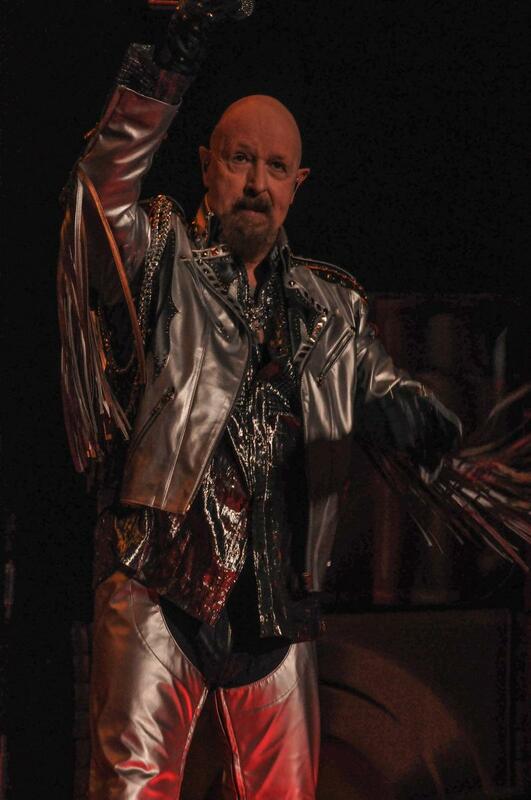 The band also played the Thin Lizzy classic “Boys Are Back In Town” before ending with a pair of tracks from their debut in “Kingdom of the Lost” and “Bound For Glory”. Despite some sound issues, the band played with a renewed energy. Saxon began their set with the title track “Thunderbolt” from their brand new release of the same name. 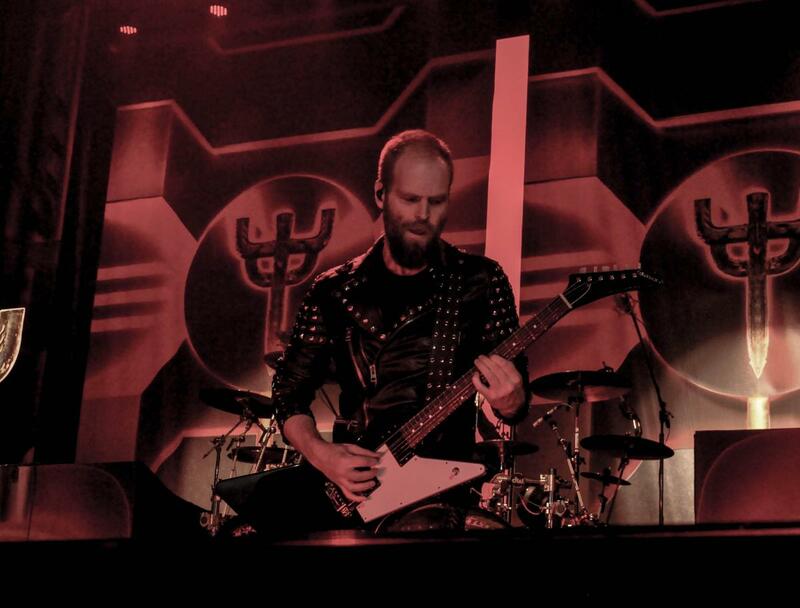 The album came out in February and was produced by Priest current touring guitarist Andy Sneap. The band is still led by vocalist Biff Byford and guitarist Paul Quinn both having been in the band since it was formed in 1977. 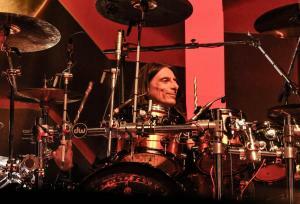 Joining them were bassist Nibbs Carter, guitarist Doug Scarratt and drummer Nigel Glockler. Saxon have always been a band that deserved to have a bigger following in the US. A truly underrated band that can match up with the best of them, especially in concert. It was good to see them play a bigger venue where they were able to give the fans a clearer picture of what the band was all about. At one point Byford commented to the crowd that it looked like the 1980s in here as the band closed out their near hour set with the anthemic “Denim and Leather”. Although Judas Priest was due up next I believe many would not have minded Saxon to play a few more songs as they seemed dialed in as it seemed their set ended too abruptly.